Locations are used to identify where courses are taught. 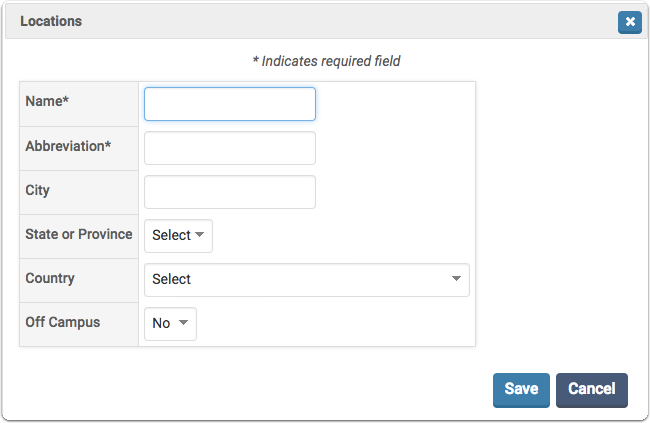 If the Location field is selected on the Courses Taught upload form for the base data, these locations must be added to the locations list. See Upload Base Data for more information about uploading courses taught data. Click Locations in the School section. Click Locations in the School section. The Locations screen displays. Click Add. The Locations dialog box opens. Specify the information about the new location.